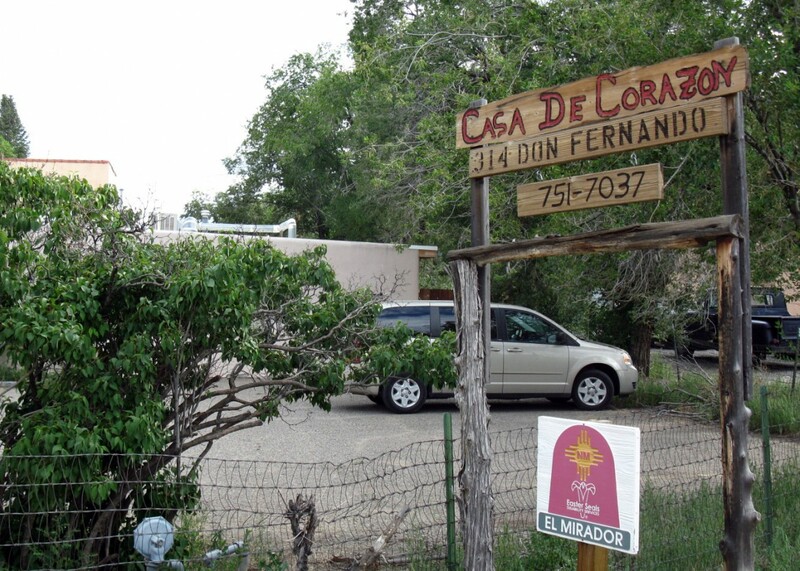 Easter Seals' Casa de Corazon clinic in Taos, which has operated with fewer employees in recent weeks and is preparing to transition services to an Arizona provider. A health organization that has reduced services to hundreds of youths in northern New Mexico communities dismissed dozens of workers this week and is preparing hand over many clients to an Arizona provider. Valle Del Sol, a Phoenix-based organization, will take over Easter Seals El Mirador’s behavioral health programs in Española, Taos and Raton next week. Easter Seals will continue its developmentally disabled programs in Santa Fe and Alcalde, Chief Operating Officer Patsy Romero said. The transition is the second since the state decided to freeze Medicaid funding for Easter Seals and 14 other New Mexico health organizations in June because of an audit that found problems including overbilling and possible fraud. Last weekend, the Arizona-based La Frontera took over Southwest Counseling Center in Las Cruces. Last month, Gov. Susana Martinez promised the state was “not going to leave people without services” as it forced quick transitions by freezing funds, but high-ranking Easter Seals officials and on-the-ground employees say the organization has had to reduce services to children and adolescents for several weeks to stay afloat. The organization furloughed about 100 employees on July 7 because the stop on Medicaid dollars left it without money to pay salaries and benefits, Romero said. All were behavioral management specialists who work with youths who face problems that hinder their ability to function, including mental illness and drug addiction. Such services, available through Medicaid in New Mexico to people under 21, are intended to prevent the need for hospitalization or residential treatment. OptumHealth, which manages the state’s government-funded health programs for people struggling with issues such as mental illness and drug addiction, notified Easter Seals that it was contractually obligated to continue providing behavioral management services (BMS) and would lose its certification to operate if it didn’t. Through donations from board members, CEO Mark Johnson and others, Easter Seals brought back 30 of the 100 workers – 10 each in Española, Taos and Raton – and reinstated services, but “level and intensity of care was reduced,” Romero said. That means the 179 youths receiving BMS care through Easter Seals have been getting less frequent attention. Specialists often transport youth to counseling appointments, sit with them in school, check on them frequently, and talk with them about problems they’re facing. That’s been happening less in recent weeks. Romero said some youths are missing appointments with therapists because they don’t have rides. “Those are the things that put our kids at risk,” Romero said. Tom Johnson noted another difference since the staff reductions. Before the furloughs, the children and specialists would hang out at a local park and the kids would play with other kids. “There are fewer kids, and now it is harder for them to find other kids,” Johnson said. He attributes the smaller population of playmates to the reduction in specialists who often transported clients to the park. Playing with other kids sounds incidental, but it’s an important part of what the specialists help their youth with, Johnson said. In addition, the fraud allegations against Easter Seals, the confusing and quick nature of the transition, and the fact that services will soon be provided by an out-of-state company have many clients and parents concerned, Romero said. She said some have already quit receiving services. Others insist they won’t get services from Valle Del Sol. Valle Del Sol wouldn’t discuss the transition with New Mexico In Depth, referring questions to Matt Kennicott, the spokesman for the state’s Human Services Department, which is overseeing the transition. Kennicott said the state has “not been informed of any interruption in services” and is focused on “continuity of care for all consumers.” He said Valle Del Sol has “management staff on the ground” but has brought in no clinicians from Arizona because it wants to keep existing clinicians who have relationships with clients. To help with the transition, Valle Del Sol paid to cover payroll for existing employees, recently sending a check for more than $190,000 to Easter Seals. Kennicott confirmed that Valle Del Sol would take over for Easter Seals next week. Romero said Easter Seals would lay off the remaining employees in Española on Monday, in Taos on Tuesday, and in Raton on Wednesday. Valle Del Sol will hire them as soon as Easter Seals terminates them, she said, adding that the Arizona organization committed to keeping all workers at the same salaries for at least 30 days. Romero said those employees – which include the 30 BMS workers who were brought back to work in mid-July – would continue seeing clients through next week’s transition. On Monday, Easter Seals laid off the approximately 70 BMS workers who were furloughed in early July and never brought back. Romero said that was done to give them the opportunity to collect unemployment. Like current employees, those who were laid off Monday will have the opportunity to work for Valle Del Sol, Romero told NMID. The termination letter she sent Monday also encouraged them to apply for open positions in Easter Seals developmentally disabled program. Mark Johnson said Easter Seals is committed to “trying to work cooperatively with the new provider to make the transition as smooth as possible” because he and other staffers care about their clients. But Romero said Easter Seals refused to turn over a list of employees to Valle Del Sol. It instead agreed to give employees information about how to reach Valle Del Sol if they wanted to apply for jobs there. “It isn’t about Valle Del Sol. It’s about the ethics of what the State of New Mexico is doing,” she said. NMID’s Trip Jennings, Laura Paskus and Bryant Furlow contributed to this report. Until the Journal article, the Martinez administration and AG had repeatedly refused to publicly disclose portions of the audit of behavioral health providers, saying it is exempted from public disclosure because of the criminal investigation. That resistance seems to have stopped Sunday.